Kenyan Corns & Beans – if you’re looking for delicious, frugal, allergy-friendly recipes made with real food, look no further than the whole entire world. 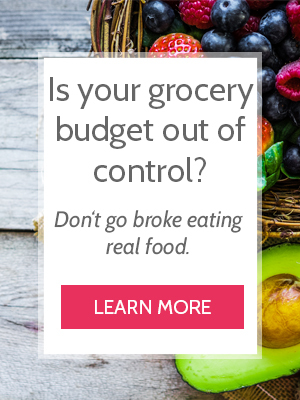 In America, it’s easy to feel discouraged about healthy, frugal eating – especially if you have food allergies. Our classic cheap food consists of macaroni and cheese, spaghetti, and freeze-dried ramen noodles. However, look outside our borders and you’ll find an endless supply of inspiration. Breaking out of the macaroni box is challenging. We want our comfort food. But let’s not forget that the internet puts the world at our fingertips. Delicious, simple recipes are out there. You just have to find them. Or just follow me, and I’ll send them directly to you. I never claim to cook authentic international dishes. I’ve learned a few from globetrotting in my early twenties, but some ingredients are difficult to find or expensive. Githeri – Kenyan Corns & Beans – is no exception. The traditional method involves an open fire, clay pots, at least 24 hours of slow cooked perfection. Mine only involves a crock pot. This recipe contains an affiliate link, which means I receive a small compensation if you make a purchase using the links. You can view my full disclosure policy here. In a medium size pan, heat oil. Saute onion for 3 minutes, until translucent. Add garlic and curry powder and cook for 1 minute. Combine all ingredients except salt, pepper, and lemon juice in a slow cooker. Stir, then cover and cook on low 5-6 hours or on high 2-3 hours, until thoroughly cooked. Season with salt and pepper to taste. Slice lemon in half. Serve githeri in bowls with a squeeze of lemon juice. This stew tastes even better the next day. Feel free to make ahead of time and simply reheat to serve. In a large pot over medium heat, follow step 1. Follow step 2, but place everything in the same large pot. Bring soup to a boil, then immediately cover, reduce heat to low, and cook 20 minutes, until greens are cooked through. Continue with step 3. When ready to serve, let it defrost in the fridge overnight, then place it in a large pan and heat until warm through. Version 2: Alternatively, skip cooking it ahead of time. Simply pour all ingredients into a gallon-size freezer bag, label it, freeze it flat, then defrost it overnight and pour it into your crockpot or large pan. Cook as desired, until greens are cooked through. This post contains an affiliate link, which means I receive a small compensation if you make a purchase using the links. You can view my full disclosure policy here. I think the best githeri i’ve had in my life to this point has always been the one done without any spices except salt. Basic or rather classic fresh tomato and onion and then you can add whatever toppings you desire. Fresh would be better and that’s why it works without spices. That’s awesome! I want to try it that way.